Postcard from/by Steve Way featuring the “rejection brick” being smashed. In 1993 The Cartoonist newspaper launched in the UK: a broadsheet full of cartoons with, sometimes, tiny bits of text in between. Fudebakudo was in search of a home (astonishingly the editors of the UK martial arts magazines of the time had turned it down — some almost certainly because they had failed to understand it, and one or two perhaps because they had not) and I remember the phone call in which Steve Way, The Cartoonist co-founder and editor (and, before that, cartoon editor of Punch), decided to take Fudebakudo on. Specifically he appreciated that the martial arts are inherently ludicrous to outsiders because they are so esoteric. So Fudebakudo ended up in the Sports section (despite, obviously, it being a Way of Life, not a sport) and very often on the (huge: broadsheet, remember) back page. Sadly The Cartoonist only ran for 8 months, but it was a great time for Fudebakudo and the exposure in The Cartoonist ultimately led to the publication of the book. 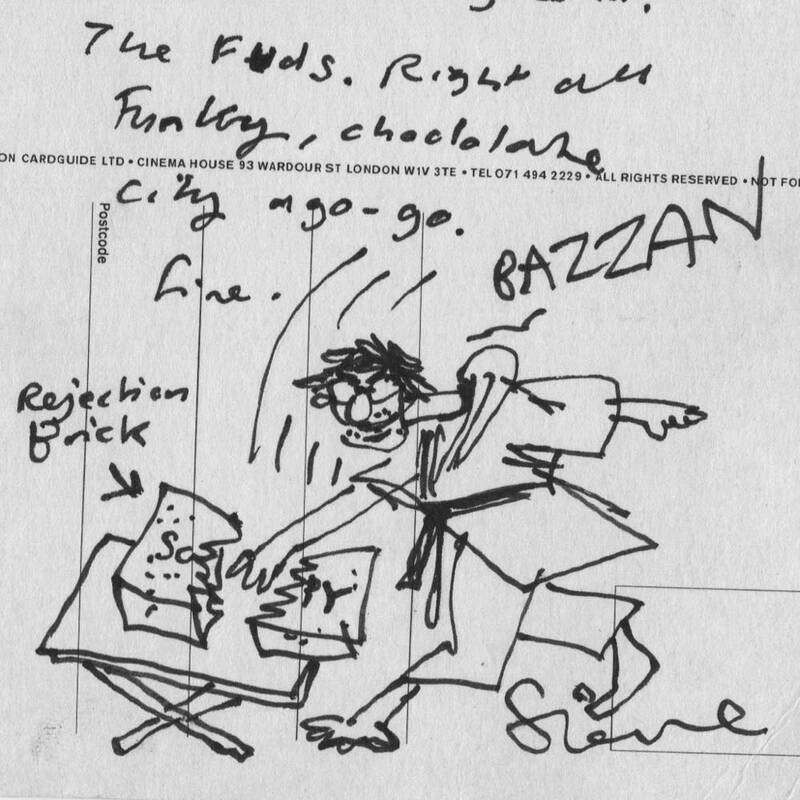 Here’s a behind-the-scenes glimpse of what cartoonist-on-cartoonist correspondence looks like on a postcard from Steve, confirming the next batch of Fudebakudo cartoons he’d just received (“the Fuds") were OK for inclusion.